Talking about the Wadden Sea, we tend to think about seals and beautiful mud flats. What many don’t know, is that it’s the place where lots of accidents happen every year. In 73% of the cases it’s about stranding of pleasure crafts and fishery. 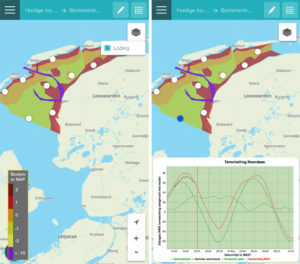 Rijkswaterstaat (the Dutch Department of Waterways and Public Works) asked Teqplay to extend the RiverGuide Recreant app, specifically for the Wadden Sea. This extension should provide information and functionality to increase the safety on the Wadden Sea. We envisioned eleven different concepts to help the skippers. In these concepts we combined aspects like depth, wave height and tidal and current data into different mockups. In an interactive workshop with various experts and skippers (i.e. Wad Sailors and representatives of Rijkswaterstaat and Nautin) we validated and extended the concepts. We discussed the challenges they face and what kind of information or functionality would help in addressing these. Thanks to their input and feedback we were able get insight in their actual needs. With this information Teqplay is extending the RiverGuide Recreant App, specific for the Wadden Sea. Depth data, current and tides and wave data will be combined and made available. With the new functionality the skippers can make smart choices that might decrease the amount of strandings and accidents in general. The new functionality in the RiverGuide Recreant App will be available in the coming Boating Season. A mockup of one of the concepts.